At Fenix Marine Services, we come to work every day ready to execute on our commitments to you, and to improve our services systematically. We believe that attitude determines altitude, and we bring a positive, results-oriented approach to every shipment. We know from experience that our skilled team, timely flow of information, and safe work environment are the foundations of delivering satisfaction. Count on it. Count on us. Our innovative information systems keep you in touch with your shipments, each step of the way. We recognize that information flow increases the velocity of your shipments and keeps you in the loop. We innovate relentlessly to increase speed, accuracy, and your peace of mind every moment your goods are in our care. Time is money. Our highly skilled workforce, refined procedures, and commitment to performance get you across the terminal and on your way quickly and reliably, just as you expect. FMS’s gate complex is designed to facilitate expedited and efficient flow of truck traffic. Outfitted with OCR and remote interface to drive faster transaction times. FMS also has an alternative bobtail entrance to accelerate the delivery process. 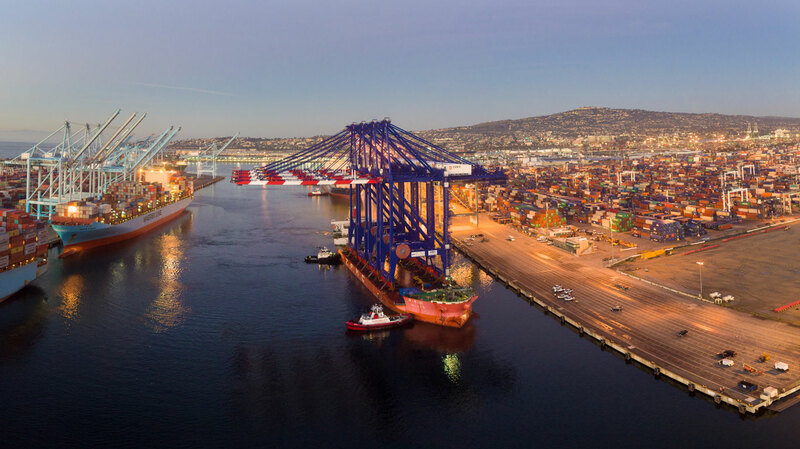 FMS is one of the largest container terminals in the largest container port in the western hemisphere, with newly updated, state-of-the-art cargo handling equipment and systems.